I came across your writing on lessons from surfing for the startup investor. Can you take a moment to talk about how surfing has helped you become a better startup investor? You’ve spoken in the past about investors helping startups gain institutional mass. First off, how do define “institutional mass” in the startup context? What are some of the methods by which investors can assist startups in building institutional mass? Which of the methods, do you believe, can have the most ROI for a B2B SaaS business, for example? How tactical do you get and what does a weekly review look like? Are you framing the conversation? If you are plugging in in a marketing and sales capacity are you reporting on lead and conversion metrics? Can you talk about the detail of that weekly meeting? What are your thoughts on how hands-on investors should be and/or your philosophy on investor engagement with portfolio companies? How does this approach play out in practice from Ricon’s standpoint and do you require a board seat upon investment? 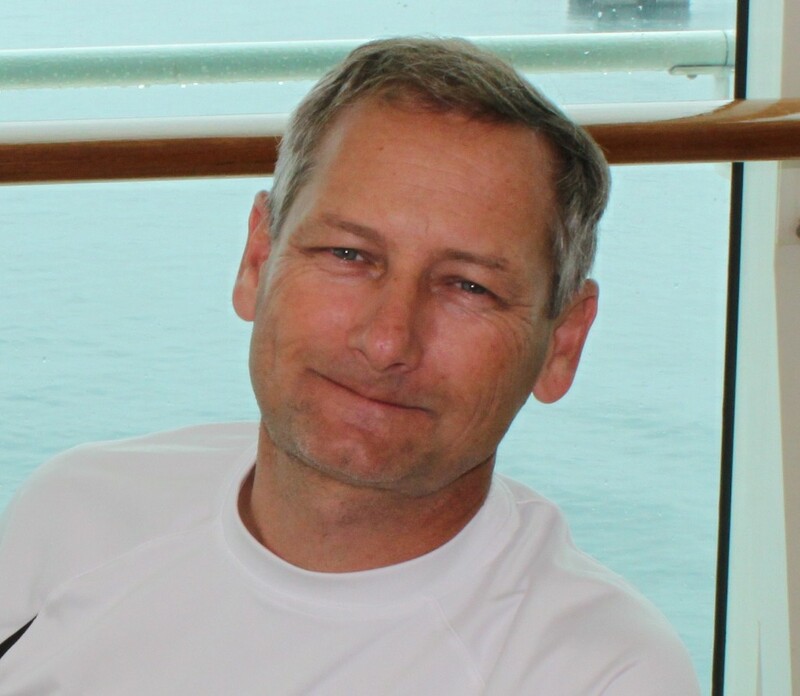 Nick: Today # John Greathouse joins us from Santa Barbara. He’s a partner at # Rincon Venture Partners, has held a number of senior executive positions with successful startups, is a professor at the University of California at Santa Barbara, and writes over at his blog johngreathouse.com . John, thanks so much for joining us on the program.John: Yeah, thanks for having me Nick, I appreciate it. Nick: Just to kick off, can you get us started here by walking through your background and how you became involved in startup investing? John: Yeah there’s a million paths to venture capital , which is one of the things I think is cool about it. Because it brings people from just a variety of backgrounds. My particular path was the operator path, which, you know, some of the others, some of my buddies, Mark Suster and Brad Feld. These other guys had made more prominent cases and that kind of took that path. John: I was a serial entrepreneur. I was kind of that fifth grader selling lemonade and all the way through selling crap through junior high and high school. And did a medical robotics company which we sort of created another robotics industry. Which I think somebody publicly sold it to a surgical , actually merged it into the surgical. I then ran into a professor and we ended up creating 1:10 and going to a meeting, go to my pc family products, which we sold as thrifts. Helped another little company go public. Took some time off and I started doing angel investing. And realized that was kind of fun, because I could help startups along the way. I never thought I’d do all that investing. By the end of 07, I joined # Jim Andelman who had already started Rincon ventures. He started it in 2005. I’ve been with Jim now, it’s the longest tenure I’ve ever had. And —-1:36 John, let’s venture now. And I’ve been teaching, as you mentioned, about the same amount of time. So I guess that was how I have been teaching for about 9 years, and I’ve been in VC for about 9 years. Nick: Got it. Has the focus, the investment focus shifted over that period of time? John: No. When I joined Jim had a little bit more eclectic focus before, as he was not an operator. He comes to venture through investment banking. But he had a wider aperture. When I joined, it just made sense for us to narrow the aperture down to things that I had some experience with. So we’re B2B SaaS. I think we’ve really carved a name up for ourselves, certainly in southern California. We’re really one of the, I guess, most prominent and —2:14 big fish in a small pond kind of thing. We’re one of the most prominent B2B SaaS early stage venture funds, it’s just up in Rincon, southern Cal. Now we’re getting a reputation in northern California as well. 5 of our last 6 deals had been in the Bay area. Nick: So we just had our first 10 inch snowstorm here in Chicago this past weekend, and I’m kicking myself for moving back to Illinois. I’ve got to ask how has the surf been out at Rincon point? John: No, Rincon is too good for me, so Rincon is a world class surf spot. I’m more of the fifth class of surf spots like the one in Campus Point or some of the other more local ones. You have to be pretty good and —2:53 get a nice wave in Rincon. But the surf business has actually sucked pretty dramatically. The last several months we haven’t had too many swells. So then everybody is ready with the menial world 3:03 , ready to get up and get wet. Nick: Spending more point at Campus Point instead of Rincon? John: Exactly. Yeah, Campus has a nice little 3 to 5 foot width wave that I can ride. Rincon is a pretty darn —- 3:15 wave. Nick: So this is a bit of a curve ball, but I came across your writing on the lessons from surfing for the startup investor. Can you take a moment and talk about how surfing has helped you become a better investor? John: Well, I think that might be a good indication of how boring surfing can be when you’re sitting out there waiting to waves to come. Nick: So that’s really when you’re not catching them, right? John: So it was a fun article to write. But again, I ain’t no great surfer. Nick: Neither am I. So John, you’ve spoken in the past about investors helping startups gain institutional mass. First off, how do you define institutional mass in the startup context? John: Yeah, it’s probably an overly fancy term. But for me just taking 6:03 it in from a handful of founders. And we typically come in very early. We’re not first dollar in. Clearly we want to see —resident 6:12 families , schools, and other other people put money in first. But we’re often the first institutional investors. So there will be often angels or the whole angel syndicate , people who does the seed. And then we’ll come in . But it’s not uncommon for us to come in with the founders and maybe two or three other people. We’re very early. So institutional masses people, it’s hiring the first sales person and the first sales leader, somebody who doesn’t know just a little bit about how hard it can be. Somebody often times sits hiring that first financial person. You know, we don’t need a CFO in early stages. But we do need somebody that can manage payables, receivables and keep us out of trouble, make sure —6:46 well and on our terms. And often times, you know, sometimes those are super easy hires for founders, sometimes their so called —6:53 run into business. It’s helpful to have someone do the interviews, help recruit and use their networks to fill some of the slots. 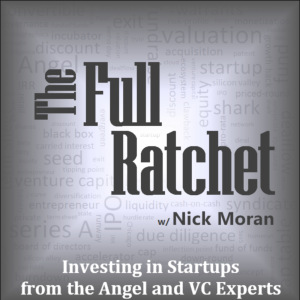 Nick: So what are some of the methods by which investors can assist startups in building institutional mass? John: Now of late, there’s been a lot of disruption in the adtech market. So I’d say the last 18 months or so , with almost all the deals we’ve done and did on the other side of the house which is B2B SaaS. Because of that, you know, we’re solving the same problems over and over again. So that’s the same set of marketing challenges, the same set of lets say 7:43 sort of marketing content questions and the same kind of sales people with a certain mentality. But we want to bring in somebody that understands SaaS. Maybe they’re not a former or old rep that made five hundred thousand last year. But they’re not a 22 year old kid right out of school. What does that profile look like? Because we’re solving the same problems over and over, I think we could really help founders that maybe haven’t seen that problem before, five times before 8:08. Nick: Yeah. What are some of the methods that you’ve used that seem to have the best payback or the best ROI for a B2B SaaS business for example? Nick: So is this often happening in an advisory capacity? Or are you really hands on, are you taking some tactical actions as well? John: Yeah, we definitely, our tactical is going to depend on the investment. Most of the investments of the 30 some odd that we’ve done with three different funds, the large majority, probably 26 or 27, something like that, we’ve led or co-led the round. And we have board seat. There’s been a few exceptions to that but in those cases, as we are on the board, often times we’re the only representative of the preferred shareholders on the board. We are taking a very active role. So the first year 18 months in some cases even 2 years, we act as an adjunct member of the executive team. I’m doing weekly calls for a very tactical low. I’m trying to help the companies. Now if all goes well, I’m growing out of that role, right. Weekly becomes too —10:25, too redundant, and then maybe every other week is appropriate. And then eventually lots of months 10:30-. lending enough time for us to thought. But that’s just company scale, and thats as executive staffs are filling in to the seats around at the table. In early days it’s so often me and the CTO and Jim and the CEO and we’re trying to build a company. And we get it to the point where we don’t need to be —10:46 involved. Because that’s where —-10:48 . If you don’t remove yourself from a weekly load, then you’re going to limit the number of companies that you could be helpful to. Nick: Can you give us a sense for how that weekly engagement looks? Are you reviewing matrix of a high level? Are you framing sort of the discussion? Are you wearing the marketing hat and contributing by reporting on lead acquisition, conversion, sales efforts, things of that nature? How does that weekly early meeting go when you’re stepping in as a part of the executive team? John: —- 13:34 or just needing a shoulder to lean on. And often the investors like that will also accidentally sue 13:40. You know that’s certainly not an every day occurrence or a weekly occurrence, but I think it’s an important part of the process where it’s a trusted, always in a trusted sounding board that they can feel very comfortable being honest with and getting hopefully some constructive feedback. Nick: Yeah, my wife runs a psychotherapy practice and sometimes I wish she could be involved in some of these meetings, because she’d be a lot more helpful than me. Nick: So can you talk a little more about this philosophy of being more hands on and more engaged with entrepreneurs and why you’ve chosen this approach as opposed to maybe a more high volume approach and being a little less hands on? John: It’s fine, right. It’s just that we all have different personalities. So since we are so early on, we really have to have this partnership approach with our entrepreneurs. And they have to really feel like that they are getting some value beyond just a chat. We’re never the highest valuation, we’re never going to be the most expensive term sheet. We want the entrepreneurs to really reach and want to work with us. Because we think in a long term. And we really strive to put ourselves on the same side of the table as the entrepreneur. And we do and certainly have a conversation where we could do it. We don’t put any weird funky terms in our termsheet. We try to make our stock as close their stock, so that we’re both looking at the company through the same lens and with the same agenda. Nick: Got it. So you talked a little bit about board seats before. With all these investments are you actively taking a director’s seat?